Assam Rifles Recruitment 2018: Assam Rifles Has Declared Government Jobs/Sarkari Naukri of 213 Soldier, Havildar & Various Vacancy Apply Online Before 27 April 2018. 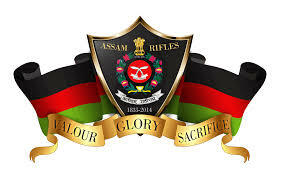 All Qualified Candidates Are Required to Check Eligibility Details for the Assam Rifles Government Job 2018. Selection will be based on documentation, Physical Efficiency Test, Written Test, Trade Test (Skill Test), Medical Examination, Merit List. Interested candidates may apply in prescribed application form along with self-attested copies of relevant certificates send to the Directorate General Assam Rifles, Recruitment Branch, Laitkor, Shillong, Meghalaya-793010 on or before 27.04.2018.